Shirley McNicholas is the Women's Lead for Camden and Islington NHS Foundation Trust. In this blog she talks about the work being carried out within the Trust to respond to the mental health needs of women affected by violence and abuse. In her capacity as Women's Lead, Shirley is also the key lead for the Maracs across both boroughs and has written a Marac protocol for Trust staff. Camden and Islington NHS Foundation Trust showed its commitment to women early in 1995 when it applied for funding and developed a women-only crisis house as an alternative to hospital. Drayton Park Women's Crisis House has continued throughout this time and has proved to be a successful alternative to acute admission for women who would otherwise be admitted. It provides a unique service in many ways, for example it has a women-only staff team and can admit children with their mothers. It has a national reputation and is one of the early examples of a trauma informed model of care for women. Alongside the development of Drayton Park, a women’s user forum became the Trust’s Women’s Strategy Group (WSG) and this group was involved in the Department of Health National Women's Strategy for Women's Mental Health in early 2000. Both Drayton Park and the Women's Strategy group were cited as examples of good practice for other Trusts to adopt. The WSG is a unique working group with the majority of its core members being women who use services. This group has been operational for over 15 years and works on a range of objectives each year. Over 40 staff members are network members who can attend on a monthly basis, but never outnumber the service user members. This allows for a very strong and confident user base. The group aims to monitor the standards for women in all services and members are also on the Patients Council and Service User Alliance. These members audit the use of the women-only sitting rooms and the general sense of how women experience being on the wards. The group also goes out to a range of sites and meets women where they are, on the wards, in day services etc. The group has been involved in a range of recruitment, training and policy developments. They are included in the recruitment of staff at Drayton Park Women's Crisis House, Rosewood the women only acute ward and Ruby Ward – the women only Psychiatric Intensive Care Unit (PICU). Members were involved in the training of a new staff team on the PICU which included trauma informed practice and understanding self-injury. The group was consulted on the design and layout of Rosewood and Ruby wards. This meant they were involved in making practical as well as strategic adjustment. For example, ensuring women can control the heating and lighting in their bedrooms. We have also been involved in exciting newer initiatives. In 2013 the Trust successfully applied to participate in PRIMH (Promoting Recovery in Mental Health). This three year project, funded by the Department of Health and in collaboration with AVA (Against Violence and Abuse), aimed to embed a cultural change in mental health trusts’ response to disclosures of domestic and sexual abuse. PRIMH took the form of action research with two Mental Health Trusts in England to design and implement a Trust-wide strategy for addressing domestic and sexual violence in relation to both victims and perpetrators. In participating in PRIMH, C&I benefited from intensive consultancy, support and training from the Stella Project Coordinator over a two year period. The project was evaluated by the Institute of Psychiatry, and led by Louise M. Howard, Professor of Women’s Mental Health at King’s College London. The Women's Lead and WSG were the Trust leads on this project, which we named Awareness and Response to Domestic and Sexual Abuse (AR-DSA). 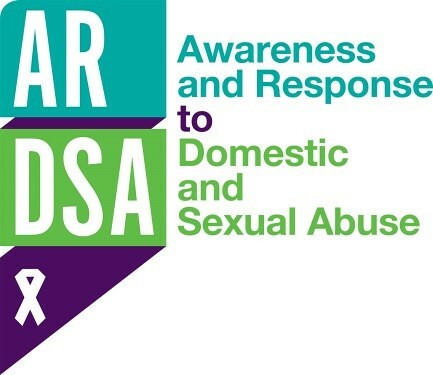 Beyond the project the AR-DSA network continues and is involved in taking forward a range of objectives such as training and bi-annual White Ribbon Events. This year it will focus on Sexual Violence within mental health services and due to concerns for student nurses and recent research about domestic abuse within the nursing population, we are collaborating with Middlesex University in examining Sexual Safety within our services. The CQC are also interested in this topic and will be presenting their findings. It is a challenge to continue to have women's champions in all services but the WSG keeps an oversight for the Trust. The Trust, the WSG and Women's Lead are committed to increasing understanding and practice of trauma informed models of care/environments and this will impact positively on women.